WASHINGTON — NASA plans to seek proposals soon for studies on the use of public private partnerships to develop the next generation of space communications services. In an Aug. 16 synopsis posted on the Federal Business Opportunities website, NASA said it planned to issue a request for proposals in early September for “trade studies and conceptual system designs and descriptions” of future radiofrequency and optical communications systems that could be carried out through partnerships, rather than traditional government procurements. “These new capabilities may help foster the growth of the commercial satellite communications relay services market (from low Earth orbit to the Moon and beyond) and provide benefits to future NASA missions in alignment with NASA envisioned Next Generation Architecture,” the agency said in the synopsis. The study will be carried out as part of NASA’s Next Space Technologies for Exploration Partnerships (NextSTEP) program. Originally developed to support studies of habitation modules for use on future deep space missions, NASA has added other efforts to that program, ranging from in situ resource utilization to trash compaction and processing. Among the topics expected to be included in that NextSTEP call for proposals are “the architecture and service concepts” for such communications services, as well as specific issues regarding providing those services through a public private partnership. The synopsis specifically mentions the study of hosting NASA optical communications technology on commercial spacecraft. Prior to the release of this synopsis, NASA had been studying a next-generation communications system that would ultimately replace the current generation of Tracking and Data Relay Satellite (TDRS) spacecraft in Earth orbit, as well as support missions beyond Earth orbit. That included the possibility of partnerships with the private sector. In a paper presented last year by several NASA officials at the International Astronautical Congress in Adelaide, Australia, the agency said working with both commercial and international partners would be among the elements of its next-generation architecture. That desire to work with the commercial sector, along with harnessing new technologies like optical communications, was a reason cited by NASA a year ago for not exercising an option for an additional TDRS satellite under a contract NASA awarded to Boeing in 2007. The last satellite built under that contract, TDRS-M, launched in August 2017. 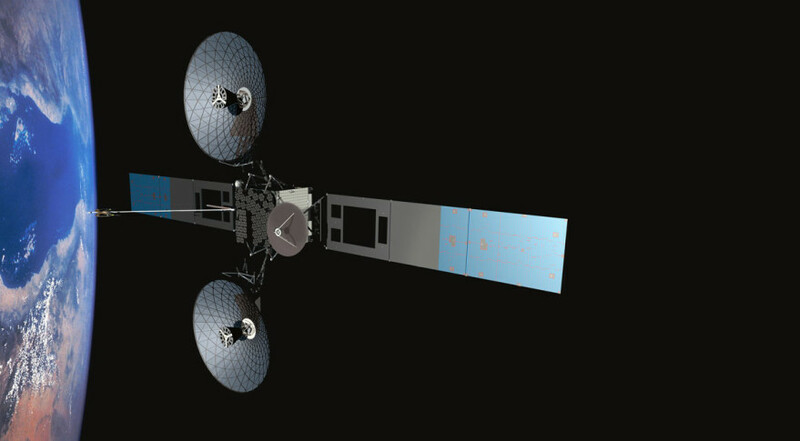 “NASA’s optimum goal is to push the technology to enable the commercial sector such that these services can be provided by commercial providers, and NASA will not need in the future to build these kinds of capabilities,” said Badri Younes, deputy associate administrator for Space Communications and Navigation at NASA Headquarters, during a briefing prior to the TDRS-M launch last year.